Does Your Personal Injury Lawyer Understand Motorcycle Accidents? Does Your Injury Lawyer Really Understand A Motorcycle Accident? Motorcyclists take to the road with ease and confidence. If you are like most bikers the idea of hitting the road on a beautiful day is always tempting. With it comes an entire set of challenges and the unfortunate possibility of harm and personal injury. Unfortunately, no matter how much training and experience you have riding motorcycles and no matter how careful you are about using proper safety equipment, many car and truck drivers simply don’t look out for motorcycles and serious accidents result. At Bell & Bell, PA, we understand motorcyclists and provide an experienced motorcycle accident attorney when you need it most. Some people think that all motorcycle riders are reckless thrill seekers and that when they get into accidents it’s their own fault. As many reckless car drivers as there are, all car drivers aren’t stereotyped the way motorcyclists are. After a car-motorcycle accident, you need a car crash lawyer who knows how to fight the stereotypes of motorcyclists and protect your rights if you are injured. When a car or truck crashes into a motorcycle, the motorcycle and its rider almost always suffer more extensive damage. An ordinary car crash lawyer may not be able to represent you in an effective manner. Often motorcycle laws differ from car crash laws. An experienced motorcycle accident attorney understands the important details about motorcycle crashes and ensures you family receives fair compensation. How much is an injury case worth? Asking how much your injury is worth is a dangerous question that may keep you from settling for more than you should. The most important thing about your injury is the overall effect it has on your family, life, and work. If you or a loved one is seriously injured during a motorcycle accident it is important to consider all the facts. You must ask these hard questions: how long will your loved one be out of work, how often are you required to attend therapy, and what are you incurred medical expenses? In short, there’s no simple answer to how much a motorcycle injury case is worth. It largely depends on past and future medical expenses, missed wages, possible loss of earning capacity, and the degree of pain and suffering. Medical records, witness testimony, and other evidence affect the size of any settlement in these cases. Speaking with a motorcycle accident lawyer is the first step in evaluating your case. 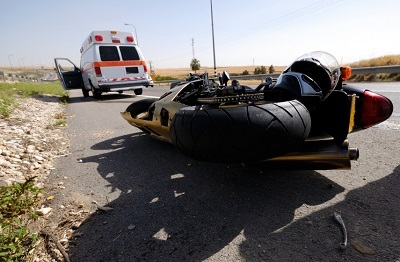 If you’re hurt in a motorcycle accident, don’t just choose any personal injury attorney. You need an attorney with specific experience in these cases to help fight the prejudices you face in the event your case goes to a jury or before a judge. Don’t hesitate to contact us at Bell & Bell, P.A. if you have been injured in an accident and need to learn more about your rights and entitlements in the event of an accident speak to one of our motorcyclist accident attorneys. Does Your Personal Injury Lawyer Really Understand Motorcycle Accidents? At Bell & Bell, PA, we understand motorcyclists and can help when you need a motorcycle accident attorney. Read more.